Diabetes is the result of either a lack of, or resistance to, insulin. When the body can’t produce or effectively use it, glucose (sugar) levels in the blood rise to dangerous levels. If you don’t treat it, this leads to serious health problems and even death. Insulin is a hormone that allows your body to use the glucose from food to produce energy. It is produced in the pancreas and released into the bloodstream whenever blood sugar levels rise. The hormone works like a key that allows glucose to enter cells and be absorbed. Without it, cells become starved for energy, causing adverse effects in all parts of the body. Diabetes occurs in two forms. With type 1 diabetes, the body does not produce enough of the hormone. With type 2 diabetes, the body develops a resistance to it. This means the body produces the hormone, but cells are immune to its effects. Both types leave cells lacking energy and cause problems throughout the body. Insulin regulates the level of sugar in the bloodstream. If it is not produced in the right amount or used effectively by the body, the result will be too much or too little sugar in the bloodstream. Both conditions are dangerous. When you eat and blood sugar levels rise, beta cells in your pancreas signal the release of insulin. The hormone then attaches to cells, telling them to absorb the sugar from the bloodstream. The higher blood sugar levels are, the more the pancreas produces. Insulin also helps the body store excess sugar in the liver. Later, when levels become low, it signals a release of that sugar back into the bloodstream. 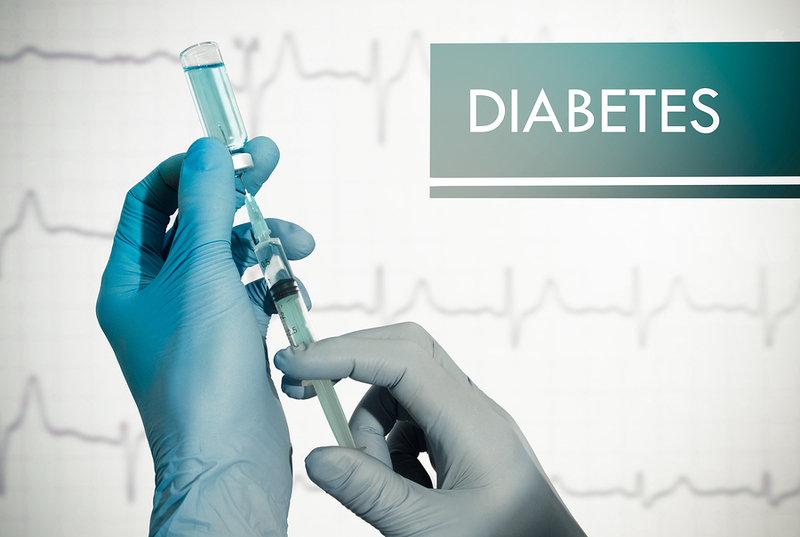 Both blood sugar and insulin levels must be carefully monitored in someone with diabetes. Too little insulin leads to high blood sugar levels. On the other hand, too much can lower blood sugar to dangerous levels, resulting in insulin shock. This can cause weakness, fainting, convulsions and even coma. The most common form of diabetes is type 2, which signifies an insulin resistance. This means that the body produces the hormone, but cells do not properly respond, creating a demand higher than what the pancreas can produce. This resistance can be improved, and even reversed, with proper treatment. If you are diabetic, it is extremely important to self-monitor your blood sugar and insulin levels and visit your doctor regularly. Incorrect dosage of the hormone or irregular blood sugar levels can cause permanent damage to your health. Did you know that hypothyroidism increases your risk for type 2 diabetes? Research recommends screening thyroid function in patients with type 2 diabetes. (1,2) By properly treating hypothyroidism, along with a healthy eating plan and exercise program, you can reverse type 2 diabetes. Take Jeff’s story, for instance. Jeff was able to lose weight, increase his energy and get off all of his diabetes medications. Dr. Hotze discusses the truth about type 2 diabetes. Would you like to get on a path of health and wellness? Contact us today at 281-698-8698 to schedule your free consultation with a wellness consultant. Let us help you get your life back! I have high blood sugar,thyroid and fatty liver can you help me? The first step is a complimentary wellness consultation with a Wellness Consultant. Please call 281-698-8698 and they will be happy to help you. Thank you!